Viva la fiesta! 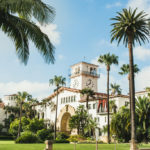 Old Spanish Days Fiesta draws large and loyal crowds to Santa Barbara year after year, for this 5-day long festival in celebration of Santa Barbara’s heritage and time-honored traditions. 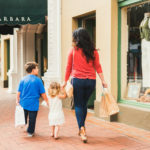 From the first Wednesday in August until Sunday, the streets of Santa Barbara are bursting with music, dancing, parades, authentic cuisine, and so much more. If you are planning on visiting during Fiesta take advantage of Hotel Santa Barbara‘s stellar location for perfect parade watching! Guest Tip: The Hotel puts out chairs under our famous green awning so guests can catch the action in comfort. Cascarones are the must have accessory for a fun-filled Fiesta experience. Sold on the streets by vendors, these decorated eggshells are filled with confetti. Smash the eggshells over a friend’s head for a confetti explosion. Throughout the duration of Fiesta you’ll find the streets covered with festive remnants of the cascarones. 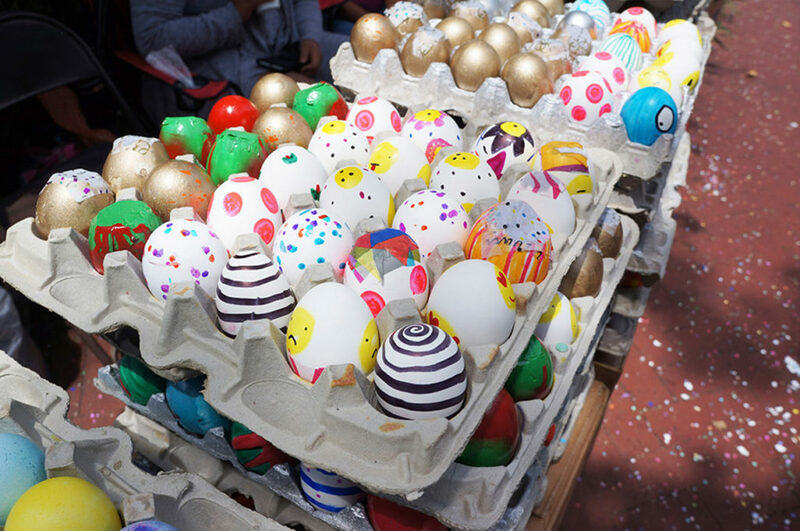 Read the story Santa Barbara’s Fiesta Egg Smash to learn more about this colorful tradition. Spanish dancing and musical performances are the heart of Fiesta’s celebrations and take place all around town. Visit El Mercado de la Guerra for performances all day. 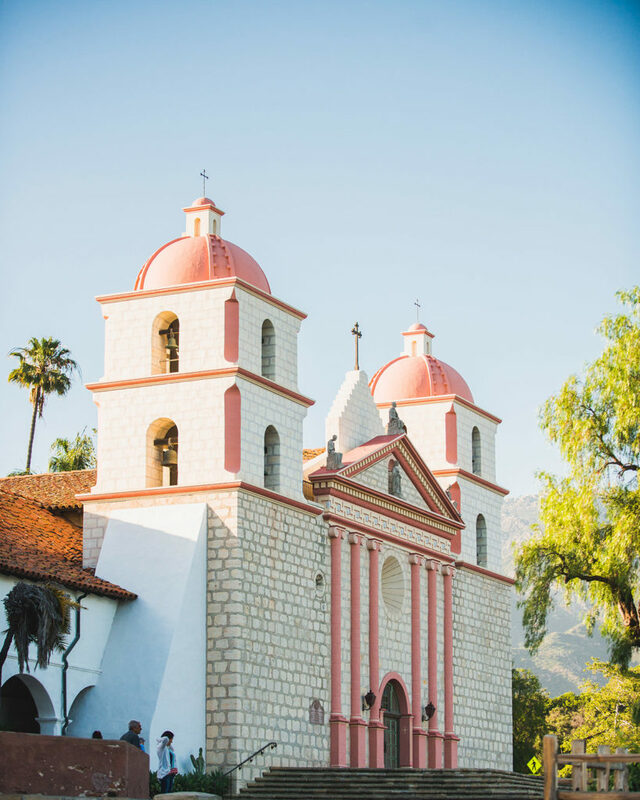 Or try La Fiesta Pequeña – the official opening of Old Spanish Days Fiesta at the Santa Barbara Mission. The historical program includes traditional dance and songs on the Mission steps. Locals bring blankets and picnics for a evening on the grass watching the performances. View the official event calendar to find performances throughout the week all over town. 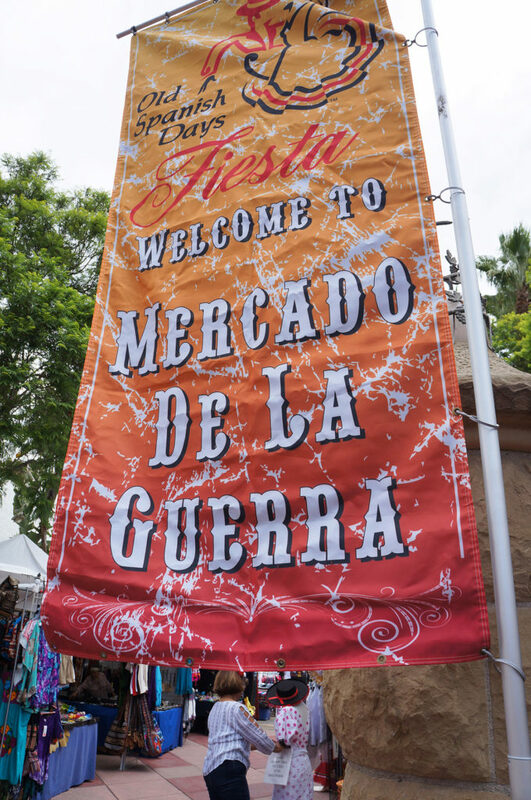 Two blocks from the Hotel find El Mercado de la Guerra – a vibrant outdoor market filled with Mexican-American food, vendors selling crafts and souvenirs, and live entertainment on stage all day. Local favorites include the tortas (a Mexican tri-tip sandwich on a roll with fresh salsa) and the hand-made tamales. Pop into the beer garden right across the street with daily entertainment, refreshing drinks, and tables shaded by old California Oak trees. 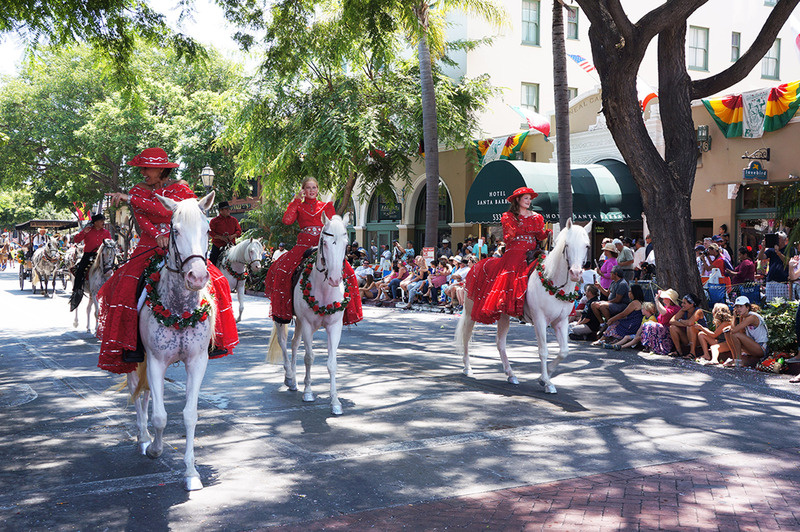 Pull up a chair right outside Hotel Santa Barbara and catch one of the nation’s largest equestrian parades featuring over 600 horses. This year marks the Historical Parade‘s 94th year and the history is on display: floats depicting episodes from the history of the state and city are seen throughout. Viewing the Parade is free. Most people bring blankets or chairs, but guests of Hotel Santa Barbara will find chairs provided under our green awning. The parade begins at 12 pm noon and runs from Cabrillo Blvd (at the beach) up State Street. For more information on how to experience Old Spanish Days Fiesta visit the official festival website oldspanishdays-fiesta.org. 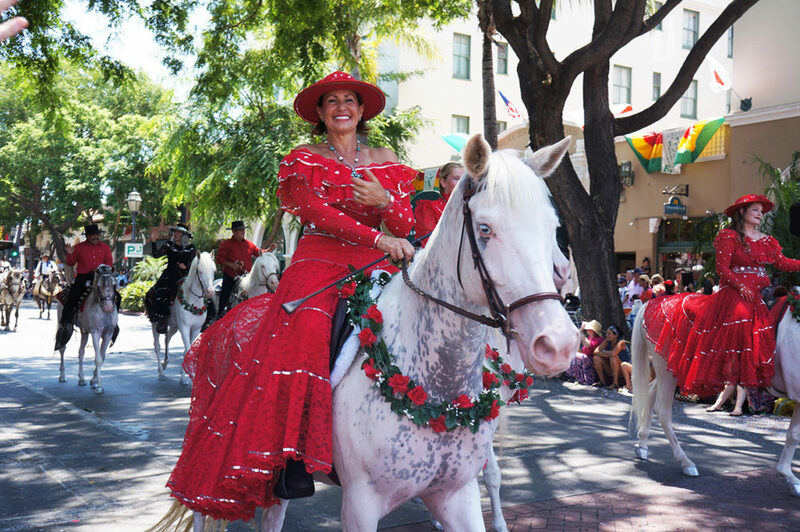 Looking for a place to stay for the best Santa Barbara Old Spanish Days Fiesta experience? 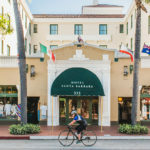 Book your stay at Hotel Santa Barbara by calling us directly at 1 (800) 549-9869 or booking on the official Hotel Santa Barbara website. Booking directly ensures you are getting the best rate available!